Michelangelo Pistoletto & Pascale Marthine Tayou - MICHELANGELO PISTOLETTO and PASCALE MARTHINE TAYOU’s portraits. Photo: Lorenzo Fiaschi. 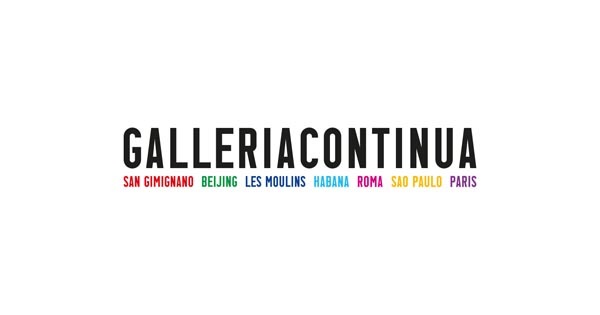 Galleria Continua is pleased to present “Una cosa non esclude l’altra – One thing doesn’t exclude the other”, an exhibition which brings together two personal shows: those of Michelangelo Pistoletto and Pascale Marthine Tayou. Both Pistoletto and Tayou are open to dialogue and exchange. Their works are testament to a process of continual expansion and evolution, aimed at refreshing the point of contact between the artistic experience and the external world. The show opens with one of Pistoletto’s most emblematic works, the “Sfera di giornali” (Newspaper sphere). Hanging on the walls in the same room are a series of LED writings by Pascale Marthine Tayou, sketching out the concept of the global village as the stage upon which the daily confluence of our lives takes place. Tayou’s work is interested in materials and their significance. For this exhibition he uses rusted nails with different coloured heads as his contribution to a dialogue with Pistoletto’s “Rotazione dei corpi” (Rotation of bodies). For the two artists, no unique centre of the universe exists; rather, every point is the centre and each individual is the centre of society. Pascale Marthine Tayou’s work is mobile and always closely tied to the idea of the journey and the encounter of the self with the other. In the exhibition this idea meets one of Pistoletto’s “FAME-AMORE-ARTE” (HUNGER-LOVE-ART ): old suitcases litter the visitor’s path.